This article was posted on Monday, June 8th, 2015 at 5:53 pm and is filed under Tours of Peru. When someone asks for suggestions on the best places to visit in Peru, they’ll usually get the same few answers: Machu Picchu, the Inca Trails, the Nazca Desert. But there are many great places to visit in Peru that don’t involve a hike up a mountain or a trek to an ancient ruin. Peru is also home to vibrant cities and other interesting places to visit, including the three on this list. Popular tourist spots near Lake Titicaca include the city of Puno, a hillside town on the lake’s shore made up of mostly unfinished modern buildings. 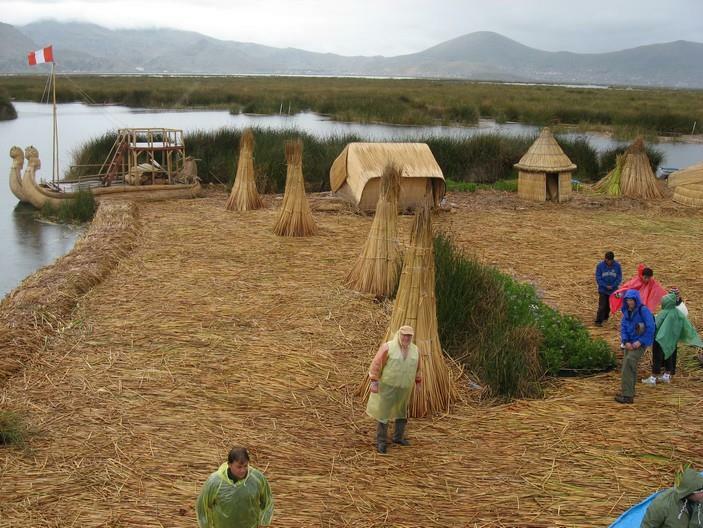 Puno is best known as the departure point for the Unos, a collection of 44 inhabited, artificial islands built out of totora reeds. Nearly 4,000 people live on these man-made islands, spread across ten different communities. The islands were originally built to be mobile military outposts from which the natives could defend themselves from attack. In recent years, they have become a popular tourist attraction, with local residents even opening up their doors to travellers and offering them home-cooked meals. Trujillo is located in Northwestern Peru, and was founded in the mid-1500s by Spanish settlers. It is the second most populous city in the country, and the most populous Northern city in the country. Over the city’s long history, it has served as Peru’s capital two times, and is often called the “Capital of Culture of Peru.” It is the birthplace of Peru’s modern judicial system, home to multiple international festivals, and is recognized as the home of the Marinera, one of Peru’s most famous traditional dances. In addition to its long history, Trujillo is an important spot in modern Peru’s development, as well. In 2011, the city launched the Trujillo: Sustainable City project, a plan to combat climate change, promote environmental sustainability, and improve overall quality of life. Trujillo has also partnered with IBM in an effort to become a modern “Smart City,” using technology to improve public safety and transportation. Figure 2 – Panoramic view of the “Plaza de Armas” of Trujillo, on the left you can view the Cathedral from the city. Many travellers only think of Lima as the launching point for Machu Picchu hiking tours or trips down the Inca Trail, but the city itself is filled with more than enough sites and culture to fill up an entire vacation. Lima is Peru’s capital and its largest city, and features a combination of multiple historic and modern architectural styles. Founded in 1551 by the conquistador Pizzaro, Lima’s Historic Centre has been declared a World Heritage Site, and is also host to one of the western hemisphere’s oldest operating universities, The National University of San Marcos. Lima is home to many museums, galleries, sporting events, festivals, restaurants, and many other tourist destinations. For travellers looking to experience the full range of modern Peruvian life and culture in between trips to historical sites, Lima is a must-see destination.